When interviewed by Vulture magazine about how she has stayed relevant in pop culture, the legendary Erykah Badu explained that it’s simply because she understands the kids. “What’s interesting to me about music and the younger generation,” Badu explained, “is that what we hear on the radio is more about frequency and sound than words. The kids need vibrations, because their attention span is about three seconds.” Badu’s sentiment rings true in a world of fading lyrical strength where EDM has risen to the top and emo-rap hangs lackluster lyrics on bass lines catching the attention of the youth. In the wake of the electronics heavy, delyricized musical soundscape of popular music, underground artists are clinging to the significance of words in the music industry. Climbing Poetree, a spoken word duo, has spent their decade-long career bringing words to life on stage. In their most recent iteration of poetic musings they have, for the first time, incorporated the element of music. 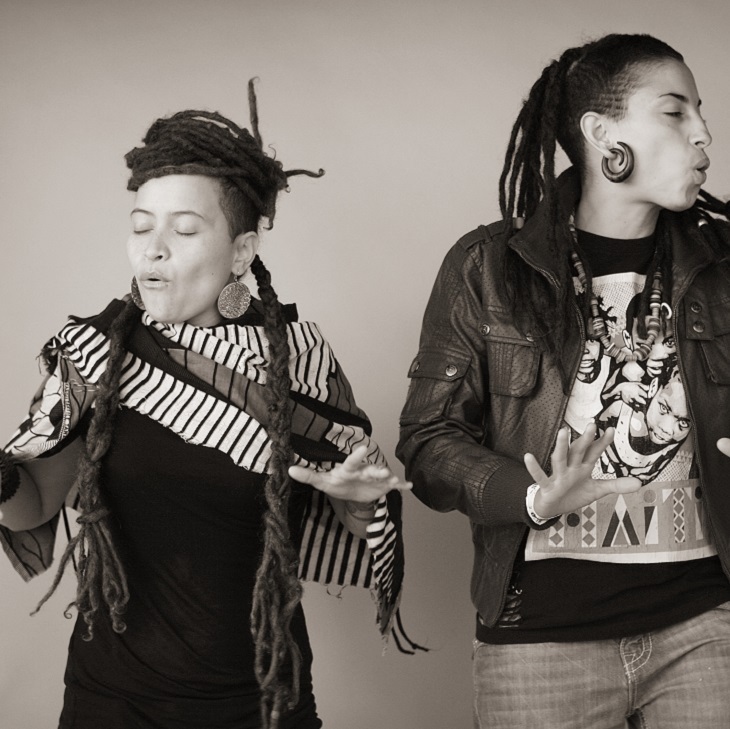 Alixa Garcia and Naima Penniman, the members of Climbing Poetree, created a concoction of words and tones for their most recent album Intrinsic. The album combines a variety of cultural and musical influences to depict a greater story beyond the simplicity of spoken word poetry. Infusing collaborations with singer/songwriters, R&B musicians, violinists, hip-hop artists and drummers, the crew has put together a musical collage that weaves words back into sound waves.